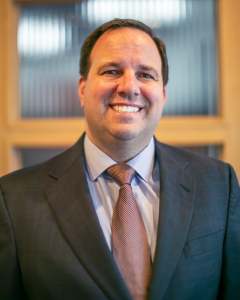 Brian Lockhart is the founder and Chief Investment Officer of Peak Capital Management, LLC (PCM). With over 20 years of portfolio management experience, he serves as the co-portfolio manager of PCM’s suite of strategies. Brian directs the company’s dynamic allocation of PCM’s unique ETF investment strategies implemented on behalf of high net worth and institutional clients like Mauldin Solutions Core and Cavalier Funds Dynamic Growth. Brian has been featured in multiple media outlets including Barron’s, Forbes, Fortune and Business Week. An active conference speaker, Brian communicates on topics ranging from portfolio and risk management to alternative investments. A graduate of Polytechnic State University in San Luis Obispo, California, Brian received his Bachelor of Science degree in Business Administration with a concentration in Financial Management. Brian is also an alumni of Harvard, having completed an Executive Education course in Investment Decisions and Behavioral Finance at Harvard’s John F. Kennedy School of Government in 2017. He and his wife, Cindy, have been married for over 25 years and love living in Colorado where they raised their two children, Caleb and Jennifer. 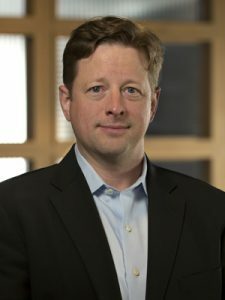 With over 13 years of industry experience, Geoff Eliason, in his role as CCO at Peak Capital Management (PCM) is responsible for oversight of the compliance program. Through regular and ongoing integration of PCM’s culture of compliance, Geoff oversees a team designed to implement every aspect of compliance within each department at PCM. 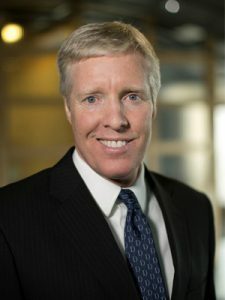 Prior to joining PCM, Geoff served as the Business Development Officer at Invesco PowerShares, overseeing the largest RIA relationships, family offices, and ETF Strategists for the western half of the U.S. Geoff received both his undergraduate and graduate degrees from Indiana University in Bloomington, Indiana. He and his wife, Lisa, live in Highlands Ranch, Colorado with their two children, Emma and Logan. Clint Pekrul, CFA is Head of Research at Peak Capital Management (PCM), and is responsible for the development and implementation of the firm’s quantitatively driven strategies. Clint has over 16 years of industry experience. Prior to joining PCM, Clint worked in the asset management group at Curian Capital, a registered investment advisor, where he managed $2BB in managed risk strategies. Clint is often heralded as a pioneer in creating and managing portfolios using ETF’s. Clint holds a B.S. in business administration from the University of Oklahoma, and is a Chartered Financial Analyst. Clint resides in Denver where he enjoys fly fishing when he is not managing portfolios. John is the Investment Advisor Representative and VP of Business Development and Coaching at Peak Capital Management. He also drives business development and coaching among the financial professionals that PCM serves as an outsourced Chief Investment Officer. John has been an advisor and entrepreneur in the financial services profession since 1994. John maximizes his tenure in the industry by helping growth-minded people and business/practice owners get where they intend to go, faster, while making smart choices about their money. Ultimately, John helps his clients have the highest probability of achieving their ideal lifestyle, where they have the time, money, and significance they desire. John loves spending time with his wife, Lisa, and son, Jace, over family meals, playing board/card games, hiking, biking, skiing, and traveling. John also serves in the high school ministry at Mission Hills Church. John’s passion is helping people maximize their potential and live life . . . on purpose. Quinn serves as an analyst, providing research support to the PCM team, Investment Committee, and the advisors PCM serves. 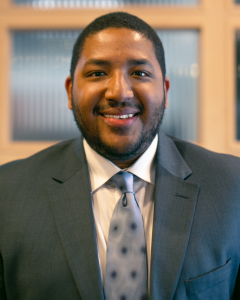 Quinn is a graduate of Colorado State University-Pueblo’s Hasan School of Business with a Masters in Business Administration and Bachelors in Finance and Economics. In addition to his education, he is also a CFA Level 1 candidate. Quinn was also a member of CSU-Pueblo’s National Championship football team. Prior to Peak Capital Management, Quinn developed experience in lending for Legacy Bank, a community bank located in Pueblo, Colorado. In his free time, Quinn enjoys golfing, bowling, volunteering, and spending time with his family. Christina Tancik is the Client Service Manager and Operations Coordinator for Peak Capital Management (PCM). Christina is responsible for the firms’ day to day operational needs. She is also integral in executing on the organization’s strategic objectives. 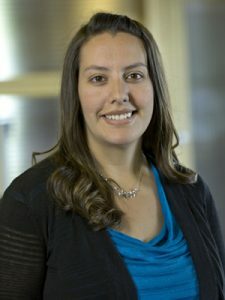 Prior to her employment at PCM, Christina worked as a contractor for the Department of Defense on Peterson Air Force Base as well as in the Health Care Industry. Christina is currently enrolled in the Business Management Bachelor’s Program at Colorado State University. In her spare time Christina enjoys camping, skiing, and hiking. She and her husband, Jason live in Peyton with her stepson, Landyn, and their son, Ouray. 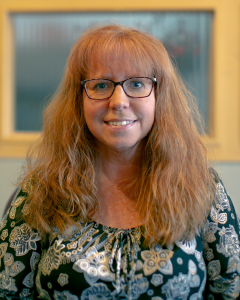 Heather Carroll is the Executive Administrative Assistant for Peak Capital Management (PCM). She is responsible for serving clients in coordination with the entire team at PCM. Heather lends her attention to detail and care to many aspects of the business, including operations and client service. She is also integral in the creation and execution of firm wide marketing strategies across all media fields. Prior to her employment at PCM, Heather worked in the legal field. Heather and her husband, Tom, live in Colorado Springs with their four daughters, Megan, Molly, Isabelle, and Emma. They enjoy spending time with friends, hiking, and traveling. Austin is responsible for supporting firm wide efforts specific to research, data analytics, due diligence and marketing. 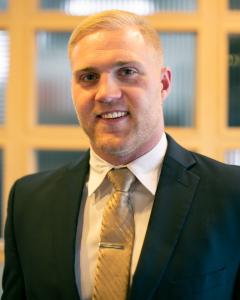 Prior to employment at Peak Capital Management (PCM), Austin was engrossed in the food and beverage industry. He is studying Business Finance with the University of Colorado System, with the objective of honing his skills in portfolio management. In addition to assisting in serving PCM clients, Austin takes great joy in impacting young people’s lives and developing their character through basketball and coaching. In his free time, Austin enjoys skiing, extensive travel and all things basketball.